Home / Business / Who will supply pure plays? They may be diddy now but what about in the future? 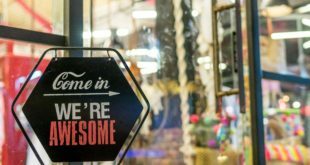 Should pure play internet bike retailers be allowed to buy goods at the same trade prices as IBDs with rents to pay, heating bills to find and shop windows to clean? Who will supply pure plays? You cant run with the hares and hunt with the hounds. Thats Cedric Chickens appraisal of those suppliers who sell via IBDs and consumer direct via their own websites or via sites such as QXL.com. As time has gone by, weve had to adjust our price lists to meet the needs of buyers. 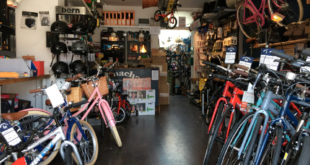 We used to have an OE list for manufacturers, then it was a factor list for wholesalers then about 12 years ago we crossed over to a trade list for bike shops. But we wont ever go direct to the public. The RJ Chicken website www.chickencycles.com is consumer facing and filters the public to bike shops. RJ Chicken, like other suppliers right now, is having to grapple with whether its kosher to supply pure-play internet bike retailers. This brought it home to me, said Cedric. A normal retailer could have easily handled that problem. The new internet retailers are very different. We will supply them but we have to evaluate whether we treat them differently. Maybe, replied Cedric. But its difficult because so many of the better shops are getting their own websites and will want to sell from them that it will be hard to differentiate between all the sites. We want to give every encouragement to our existing bike shops accounts to explore every sales opportunity. Internet selling isnt that different to mail order advertising but its still a new trend. a new group of buyers is slowly forming and we have to address that. This concept is quite close to home for Cedric. His wife is a recent convert to e-commerce. She bought a book from Amazon.com and, to her joy, it came just a few days later. It wasnt a price thing for her, it was just more convenient than going to Waterstones.